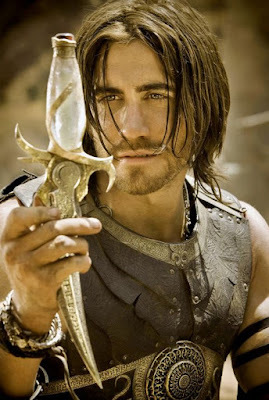 I wish I was your leading lady in all your movies, but that's quite impossible, so I just wish to meet someone who has the attitude that you portrayed in the movie 'Prince of Persia', and be his one and only leading lady. I would be so glad of having that person in my life. Sigh.. I really can't stop day dreaming today. He's just so adorable and irresistible. I was struck again when I watched his movies last night. But behind those, there's this guy I really can't stop thinking about every day and night. I believe he's aware of my feelings. Maybe I'm like this lately because I want to see him face to face (again) and have that long conversation about anything happening in our lives. He's just so-- so-- so-- WONDERFUL! oh, I said too much already. *thinking* prince charming, is that you? LOL. Hahahaha.